Digitek has launched AFI Phoenix D3 Gimbal that supports the professional DLSR camera with innovative handle and built-in foldable mini tripod design. It supports real-time camera focusing for capturing the moments with precision and depth. The Gimbal uses efficient brushless motor technology for swift, precise and enduring performance. 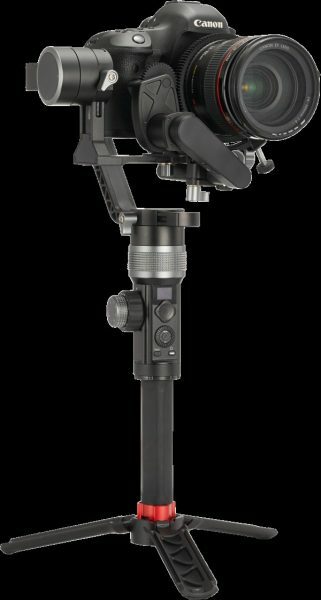 The AFI Phoenix D3 Gimbal has 3 axes i.e. roll, pitch and pan and the gyro driving technology for steady, coordinated and sensitive video shoots. The device can operate in four modes of full-following, pan-following, full-locking and roll-following mode to follow every detail and minute movement fluidly. With this feature, the users can shoot 360-degree time lapse and scene tracking and, object rotating type of videos besides the many others. According to Digitek, the D3 Gimbal when used with Canon EOS series and Sony DSLR cameras allows users to leverage a wide range of camera settings. The extended zoom system that supports features like innovative zoom design, focus and zoom by handle knob, gives users the flexibility of a freer shoot at will. The Gimbal can be controlled with the wireless connected mobile app using the built-in multi-functions for efficient and versatile shooting. This device is priced at an MRP of INR 44995/- including Follow Focus Kit. It is available at all Leading Photographic Outlets across the country and also available at Amazon.